SNAFU! : USAF considering canceling orders for 590 F-35s! USAF considering canceling orders for 590 F-35s! 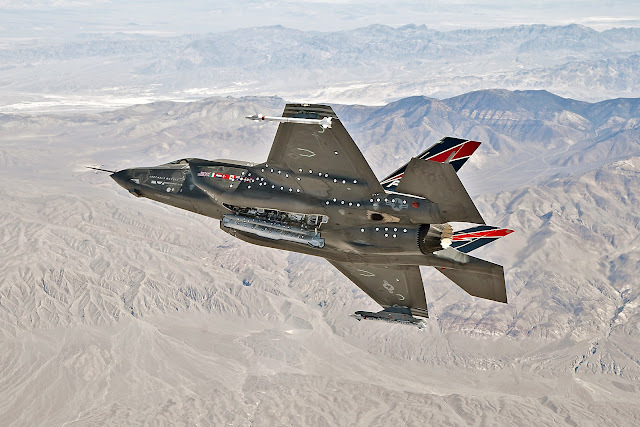 In March, it was revealed that the United States Air Force (USAF) may cancel orders for as many as 590 Lockheed Martin F-35A jets – a third of its planned fleet of 1,763 – due to long-term cost issues. The news that one of the world’s best pound-for-pound fighter jets may be too expensive to operate and maintain in its current form comes at a critical juncture in its evolution. In April, F-35 flight test programme concluded System Development and Demonstration testing, a major milestone. How were they able to squash this story? Even better...this news faded from the headlines till Thompson dredged it back up. Is he that fearful that this has gone from an "if" to an actual "do"?